Last modified on September 30th, 2018 by Vincy. Barcode is a machine-readable ident bundled with data about an entity. It is particularly used to store product-related data like price, code, manufacturing date, and similar data. 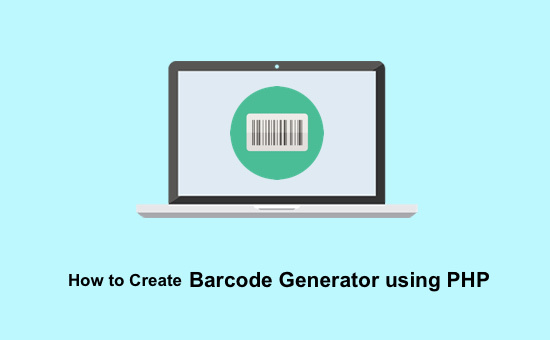 In this tutorial, we are going to create PHP code for generating barcodes. I used the tc-lib-barcode library for creating barcodes using PHP. If you are looking for a QR code generator, in a previous tutorial, we have seen how to create QR code using this library. 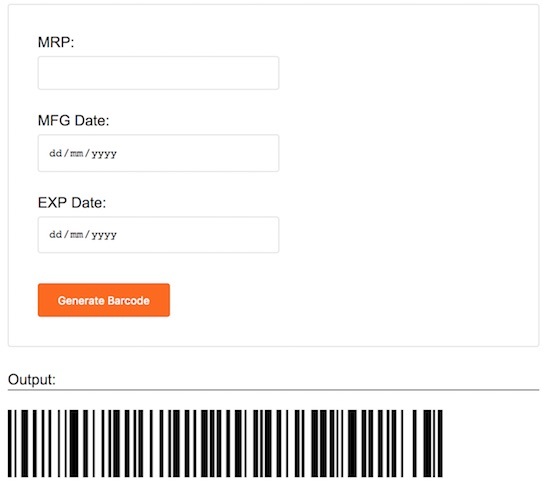 In this example, the product price, MFG and EXP dates are bundled in the form of Barcode. By scanning the generated barcode image with a barcode reader app, these data can be revealed. We can add this PHP code for a shopping cart application to generate the barcode for products as unique identification reference. An HTML form is used to collect the product data. On submitting this form, the data are validated and bundled in a right format. The formatted data will be passed to the library function to generate the barcode. Download the library source code from the GitHub to execute this example. If anything goes wrong while validation, the function will return false and display the error below this form. On successful validation, the form data will be posted to PHP code to create the barcode. In this PHP code, the tc-lib-barcode library autoload file is included at the beginning. Then the form data is received by using the POST request data array. The MFG and EXP dates are converted into a timestamp. Then, the product MRP and MFG/EXP timestamps are bundled into a string format. This formatted product data will be passed to the getBarcodeObj. This function will return barcode object based on the type specified. With the reference of the barcode object, the barcode png image will be created and displayed to the browser. In a previous tutorial, we have seen how to create an image dynamically by using PHP. This screenshot shows the generated barcode image created dynamically by using the barcode object reference.